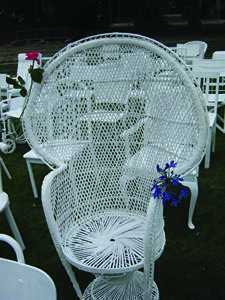 A photograph of flowers laid on one of the chairs in the '185 Empty Chairs' memorial installation. 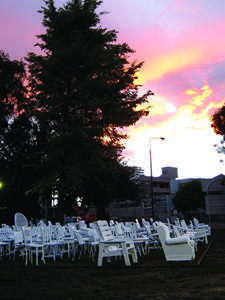 A PDF copy of pages 100-101 of the book Christchurch: The Transitional City Pt IV. 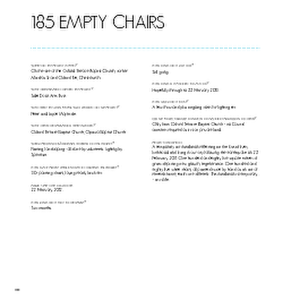 The pages document the transitional project '185 Empty Chairs'. 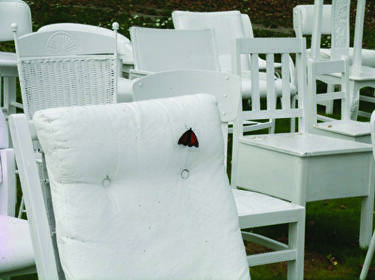 A photograph of a butterfly on one of the chairs in the '185 Empty Chairs' memorial installation. 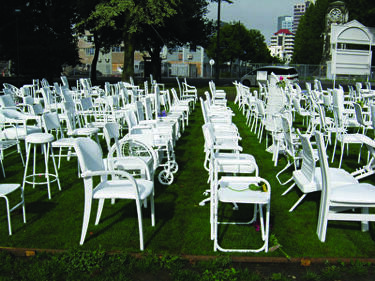 A photograph of the '185 Empty Chairs' memorial installation.